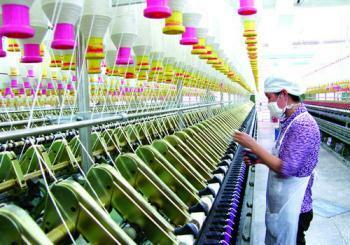 Textile industry is one of the few basic industries, which is characterized as a necessary component of human life. The textile industry is primarily concerned with the design and production of yarn, cloth, clothing, and their distribution. The raw material may be natural, or synthetic using products of the chemical industry. Normally, working flow chart of textile industry consists of getting a buyer order, understanding buyer requirements, brought raw material, set program, start production, processing step by step, finishing (if need), testing product, qualified product according to buyer requirement and finally make delivery to buyer according to the buyer requirements. Flow chart of textile processing helps to understand the working flow that is how textile processing is done.